Lisbon Zoo - have a great time with the animals! What a wonderful afternoon! Last time I went to the Lisbon Zoo with my four (almost five) year-old son and my wife, we had a blast. And I took some pictures to show you what it looks like. 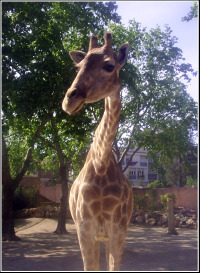 I invite you to discover this 125 year-old zoo with lots of animals, places to eat, drink and rest, attractions and fun! If you like an extra-emotion you can do this using the 20 minute Cable Car (Teleférico) tour which goes equally around the zoo but... through the air. Don't worry, it's perfectly safe. 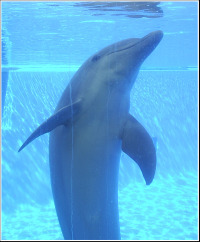 Don't miss the daily presentations prepared to you specially the Dolphins and Sea-Lions Show. It's quite amazing! The Lisbon Zoo is open every day of the year. Until September is open from 10:00 a.m. to 8:00 p.m.. The main entrance to the zoo is located at the Praça Marechal Humberto Delgado, Sete-Rios. However the mailing address is Estrada de Benfica, 158/160, 1549-004 Lisboa. This is one of the favorite places for kids in Lisbon and if you would like they can prepare a birthday party including an organized tour with trained helpers. There are more than 2000 animals (332 different species) to see in in the Lisbon Zoo. So, be sure to reserve some time to do it and enjoy yourself with your friends or family. When you finish, send me your evaluation of the place. I sure like to know your opinion. Don't forget to take a look at the pictures I took.